Muslims Mock Christians Behind Their Back of Course! So this week it was the Methodists turn to be the sheep flocking to their local mosque, to learn Islam 101. What’s sad is they are clueless as to the point of the game, where eventually they will be the losers. 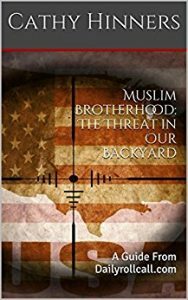 Muslims across America are upping the dawa game, with a new, aggressive approach which they believe will bring Christians to Islam. Visitors from a Methodist group at the Islamic Center of TN. Dawa, or the proselytizing of Islam, is a religious obligation every Muslim must perform. Presenting Islam 101 is dawa. What a Muslim says to their audience is one thing, what a Muslim believes and is directed in their doctrine is another. During Islam 101 was it revealed the prayer Muslims say 5 times a day asks Allah not to let them be like the Christians and the Jews? As Christians sat to learn about Islam, were they told they (Muslims) are not allowed to befriend them? Did the Muslims happen to mention the Quran instructs husbands how to deal with a disobedient wife? If Muslims are truly sincere about their religion, why would they need to develop scripts to counter what Christians believe? If Christians truly trust their own faith, why do they need to succumb to Islam and sharia? Christians are being played by the masters of deception. Stop being sheep led to your eventual slaughter. Wake up before it’s too late. ← Previous Previous post: Islamic Deception..A Guide To The Ways Muslims Lie. Next → Next post: It’s Time To Stop Coddling Those Who Hate America. So let’s look at what the official Sharia Law Book says about “Interfaith” relations or Interfaith Dialog. This is from Book W of Reliance of the Traveller. “Reliance of the Traveller” is the official, certified book of Sharia Law. All Muslims are obligated to follow Sharia and it is the mission of Islam to impose Sharia on all people – Muslim AND non-Muslim. (1) Muhammad (Allah bless him and give him peace) is the last prophet and messenger. Anyone claiming to be a prophet or messenger of Allah after him or to found a new religion is a fraud, misled and misleading. (2) Previously revealed religions were valid in their own eras, as is attested to by many verses of the Holy Koran, but were abrogated by the universal message of Islam, as is equally attested to by many verses of the Koran. Both points are worthy of attention from English-speaking Muslims, who are occasionally exposed to erroneous theories advanced by some teachers and Koran translators affirming these religions’ validity but denying or not mentioning their abrogation, or that it is unbelief (kufr) to hold that the remnant cults now bearing the names of formerly valid religions, such as “Christianity” or “Judaism,” are acceptable to Allah Most High after He has sent the final Messenger (Allah bless him give him peace) to the entire world (dis: o8.7(20)): This is a matter over which there is no disagreement among Islamic scholars, and if English-speaking Muslims at times discuss it as if there were some question about it, the only reason can be that no one has yet offered them a translation of a scholarly Koranic exegesis (tafsir) to explain the accord between the various Koranic verses, and their agreement with the sunna. The few passages translated below will hopefully be of use until this has been done. (3) Islam is the final religion that Allah Most High will never lessen or abrogate until the Last Day. A hadith that seems to imply that “a tenth of Islam” will be enough for Muslims in the latter days is discussed at the end of the section. Yes, they are defining Christianity and Judaism as “cults” and “formerly valid religions”. They are saying that Islam abrogates (or replaces) all other religions. Does this sound like Interfaith cooperation or religious tolerance? I think not.